What are essential oils? What exactly is aromatherapy? We are bombarded with the phrase plastered on everything from air fresheners to scented candles, yet most products advertised as such have nothing to do with this legitimate healing art. Aromatherapy is the application of pure plant oils, called essential oils, to positively affect the health of the mind and body. Essential oils are highly concentrated substances extracted always from plants, and depending on the oil used, can have relaxing or energizing effects. Topical applications will utilize their various virtues on the physical self and these properties include: anti-inflammatory, anti-fungal, anti-viral and anti-bacterial, immune enhancing properties, and cell regenerating effects. Essential oils are always applied diluted and can be used in the bath, as a compress, mixed with a carrier oil for massage and beauty applications, as diffusion using a diffuser or a spray bottle, and also simply inhaled. While generally considered safe with reasonable applications, essential oils, like all natural substances, should be used with respect and consideration for individual contraindications. Apply a dab of an essential oil to a tissue or cotton ball. Tuck away in your purse or pocket and take it our frequently to inhale deeply. You could make this a relaxing experience using lavender or ylang-ylang oil, or an invigorating one with peppermint or eucalyptus, which will also clear the sinuses. Mix an essential oil with some purified water in a spray bottle and use as a refreshing spritzer for the face. (Be sure to close your eyes!) 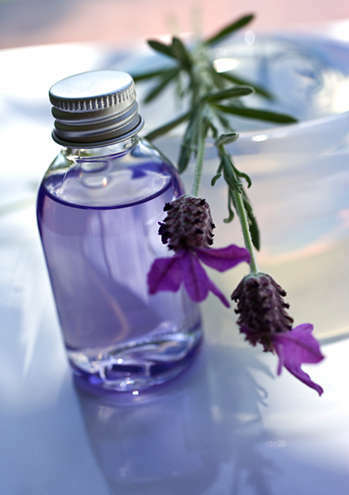 Cooling oils such as lavender and peppermint will help calm hot flashes. You could also use the spray technique to freshen a room or set a mood, or if you’re using antibacterial oils, keep air-borne bacteria at bay. Clove, sandalwood, frankincense, basil, lavender, lemon and other citrus are good germ fighters. Essential oils can do wonders for the skin (properly diluted). If your skin is especially dry, you may find applying a good base oil such as almond, grapeseed, or sesame oil with essential oils will be a more effective moisturizer than lotion, which is mainly water. Sandalwood, carrot seed, frankincense, and rose are especially kind to dry skin, but they are not cheap! Rose oil, mixed with a good-quality base oil, is excellent for vaginal dryness and can be used as an especially fragrant lubricant. A few drops of oil in the bath can be a great stress reliever and help you achieve a sounder sleep. Lavender, clary sage, vetiver, and chamomile are wonderful for insomnia. If your feet are aching or painful, a few drops of a stimulating oil in a foot bath can do wonders. This is especially helpful if you follow it up with a foot massage with more oils. Good “foot” oils include lavender, peppermint, marjoram, and rosemary. For a spot massage treatment, dab a few drops of lavender on the temples, forehead, and at the back of the neck. Massage slowly, but firmly, using circular motions. If you find a tender spot, linger for a minute with your thumb or finger until you feel it ease. Lavender is the only oil I recommend to be applied undiluted, and this may still be too strong for very sensitive individuals.